People gather as they watch on giant screens a plenary session outside the Catalan regional parliament in Barcelona, Spain, October 27, 2017. 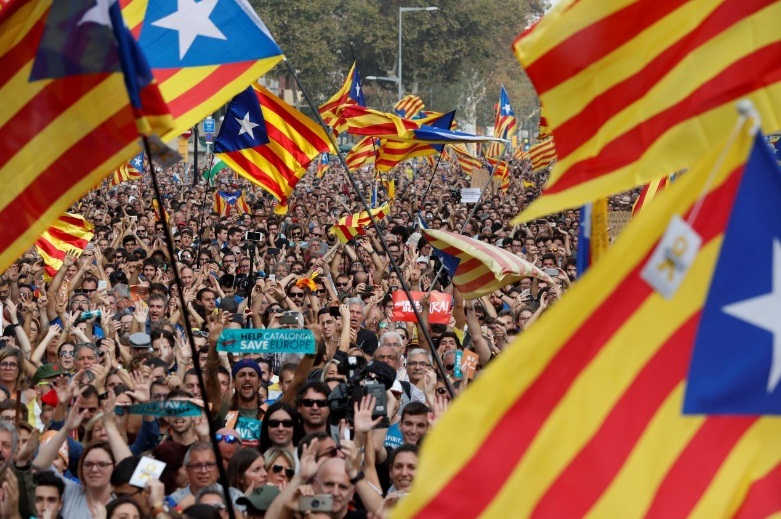 BARCELONA - Catalonia’s regional parliament declared independence from Spain on Friday in a disputed vote that is now likely to be declared illegal by Spain’s constitutional court. Catalonia’s regional parliament declared independence from Spain on Friday in a disputed vote that is now likely to be declared illegal by Spain’s constitutional court. The independence motion was passed in the 135-strong assembly with 70 votes in favor, 10 against and 2 blank ballots, the assembly’s speaker said. Lawmakers from the Socialist Party, the People’s Party (PP) and Ciudadanos had left the chamber before the vote in protest.